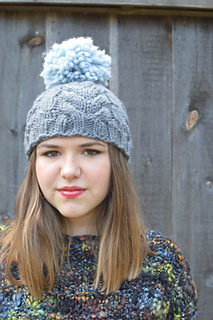 Who doesn’t love a giant Pompom? 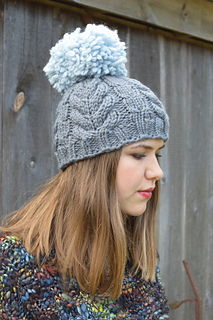 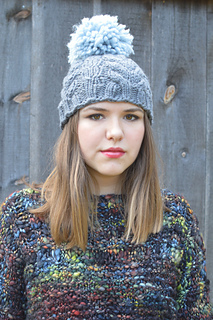 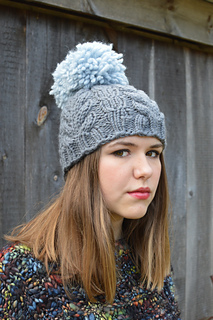 I chose a fairly simple cable pattern, which looks great in this bulky yarn! 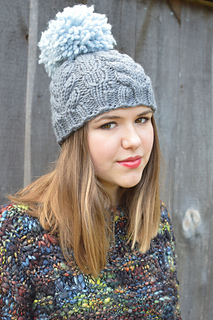 A fairly quick knit for those who love to cable. 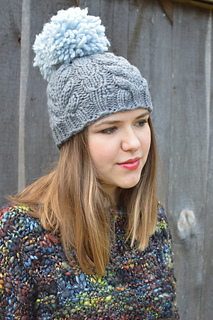 An almost instant project, which will be loved by everyone this Winter!